people can put two and two together and make them work. You can also see about emailing your photo to another member to help you out. 2. Don't whore for posts. 4. Make sure your post is in the right spot. If you have a question about a specific model, put it in the specific model subforum. I don't want to discourage anyone from posting, however, this forum has a lot of really good information already here that may be better than the info you would get from making a new thread. Many subforums have stuck threads on the top with names such as "Frequently asked Questions" or "Read Before Posting" there is a wealth of info in here that you should take advantage of. You can also try searching. Last edited by SilverBeam; 12-07-2008 at 03:57 AM. Useless posting to acquire added features will probably result in posting restrictions and post count starting over from 0, or close to it. VW nut looking to step up. Coming this spring E36 M3 Sedan. AHHH! That's why I see no off topic forum! 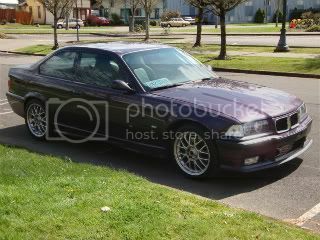 I have barely a thing to contribute with my 325ic being sold, and no new BMW on the driveway! man. some of that stuff should be ok off the bat. i've been trying to figure out how to post pics, and tried PM'ing a mod, but of course, that doesn't work. Now you understand my feeling, "gotundersteer?"? I haven't been able to get the system to accept a post since I registered. If this one take it will be the first in three months or so. Good this is the first post that didn't tell me I wasn't authorized to post on this site. They encourage us to post messages, but throw in roadblocks. I tried to post a "how to" message, but I included a Smilie and the message was rejected. All my time composing it was lost. What a waste of time! I won't try that again. if the only way to private message someone through email? Usless posting to acquire added features will probably result in posting restrictions a starting over from 0, or close to it. i meet the requirements to PM but still cant? any ideas why? 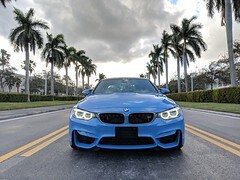 ......Help....Guys how do i down load a pic to put with my classified for my 328i...Thankx. Sounds Sillyto me (Capital S)! I am sure there are ways around the Spam. I am a member of the Diesel Truck Resource Forum...no such silly rules and no spam...go figure. Thanks for the thread, I'm sure it helps cut down on the spammers. e34 94 540i/e34 1995 525i (totaled"
How do you downlaod pics?